Junior Tess Contois passes the baton off to sophomore Gaylan Ryuss in the 4x200 meter relay. 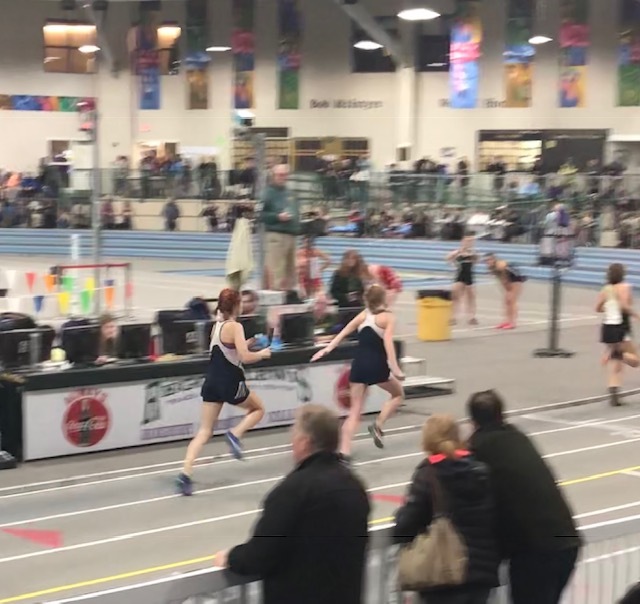 Boys and girls indoor track competed in the Division 5 relays on Friday, January 11 at the Reggie Lewis Center In Boston. The teams competed well against many of the top teams in the state. With many strong finishes marking the distance remaining till post season, the teams look to put their best foot forward. A panoramic view of the Reggie Lewis Center in Boston.